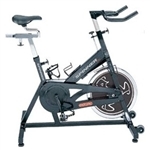 Exercise Bikes, or Stationary Cycles, mimic the movement of a bicycle. While running is the standard for cardio exercise, exercise bikes can actually strengthen your leg muscles more than running due to the resistance they provide. Exercise Bikes are also a great alternative to running on a treadmill as it has less impact on the knees thus it's very easy on the joints. 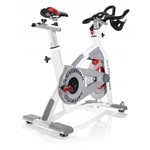 If you are looking for a machine that is cost effective, space efficient, and can be used by just about everyone, then an exercise bike is perfect for you! 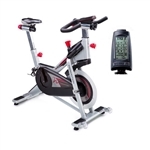 Fitness Superstore offers a large range of exercise bikes including recumbent bikes, upright bikes, and indoor cycles, from all the most popular brands on the market today.